Wales’ red meat and dairy sectors are set to benefit from a £15 million cash injection ahead of Brexit, the Welsh Government has revealed. Rural Affairs Cabinet Secretary Lesley Griffiths announced the extra funding would be made available at the Hybu Cig Cymru (HCC) breakfast at the Royal Welsh Show today. HCC’s Red Meat Development Programme, which promotes new ideas and initiatives through its network of demonstration farms, discussion groups and knowledge transfer officers, will receive £9.2 million. £6.5 million will also be handed out to two other projects which seek to increase the profitability and resilience of the Welsh dairy sector. 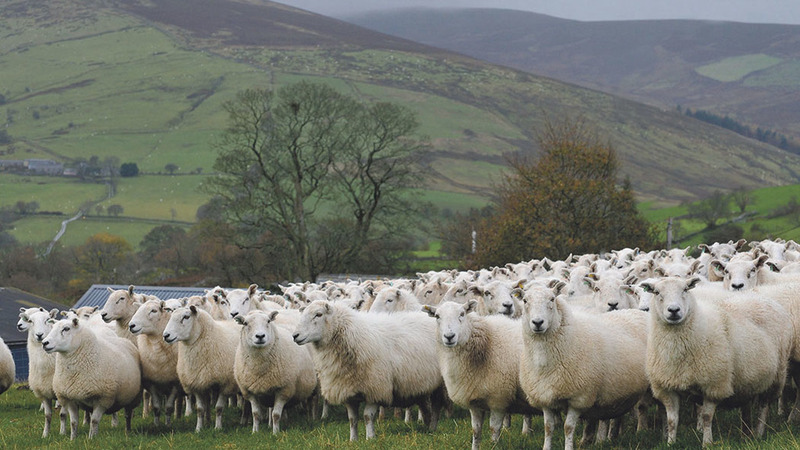 The announcement was made as HCC chair Kevin Roberts warned a ‘no deal’ Brexit which left UK agricultural exports facing punishing tariffs would be a ‘catastrophe’ for Wales’ red meat industry. He said: “We have consistently warned of the potential consequences of a hard, chaotic Brexit, and I would like to sound that warning yet again. “It would provide a sudden, seismic shock to our red meat sector. Tariffs at any level would be a tourniquet on trade - and the unthinkable, a no deal Brexit, would be catastrophic for our stakeholders. Mr Roberts comments follow a difficult week for Prime Minister Theresa May, who has seen her Brexit White Paper face a mauling in Brussels. EU chief negotiator Michel Barnier said the document seemed to ‘contradict the guidelines of the EU Council’ and would split the single market. It is likely that the bloc will ask the UK to make further concessions, something Brexiteers in Theresa May’s Cabinet and wider party would be unwilling to accept. This impasse could make a no deal exit more likely, with Governments on both sides of the Channel now openly planning for such a scenario. UK Ministers are set to publish about 70 ‘technical notices’ providing advice on how to cope with a no deal Brexit over the coming weeks, while the EU has told member states to step up their preparations.